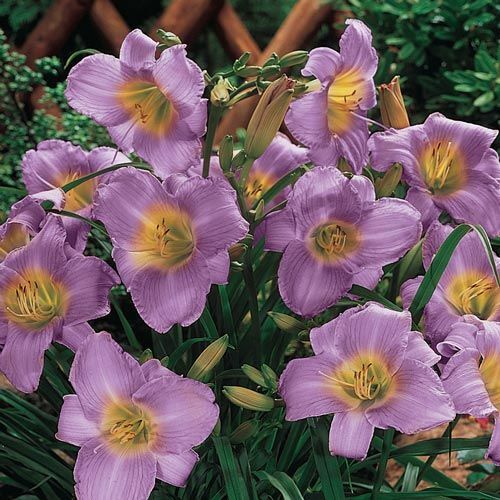 Purple de Oro Daylily | Gurney's Seed & Nursery Co.
FoliageStrap-like, medium to dark green foliage. Flower FormTrumpet-shaped flowers with ruffled, slightly recurved petals. ColorDark lavender with golden yellow-green throat. BloomsMay - August sporadically (May not bloom until the second season). Growth RateSlow while establishing, fast thereafter. 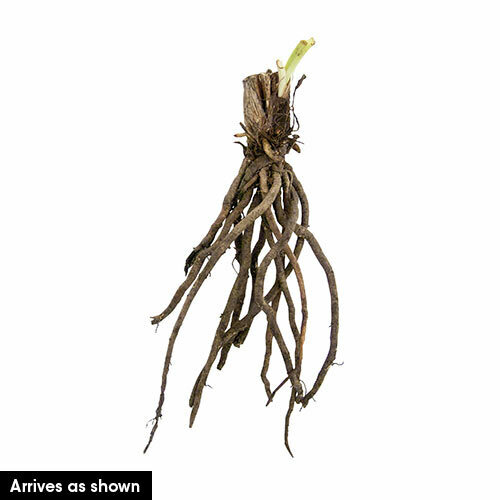 PruningAfter flowering, remove spent flower stem low to the base to encourage repeat blooms. DepthDig 8 " x 8 " hole. Make cone shape with soil and spread roots over it, placing crown 1 inch below soil surface.